Yesterday, we asked Project Managers to give us their thoughts on the benefits of obtaining their PMP® certification. The feedback was so motivational and inspiring that we had to share. 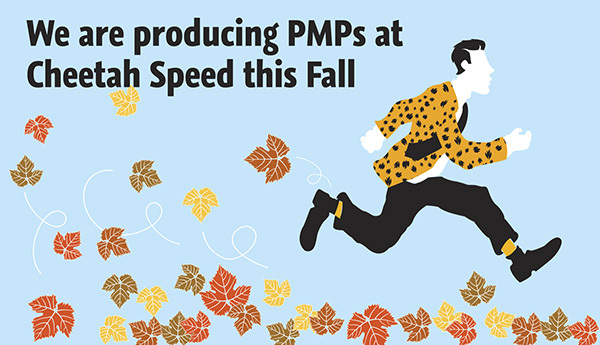 See the story that won our PMP Story Contest below, and check out all the stories submitted about how PMP certification helped people reach their goals faster than ever on our Cheetah Blog. supported projects as a Documentation Specialist or a Project Coordinator. Although I started to pursue my bachelor’s degree, I decided to postpone that goal as my various employers were not offering any type of tuition reimbursement. During an assignment where I was a project coordinator, a Senior Management Executive counseled me on my career aspirations and strongly suggested that I consider obtaining my PMP. My years of project support enabled me to qualify for the exam. I obtained a position with a company that offered tuition reimbursement and also offered reimbursement of certifications. There was one catch… the company’s product was insurance and the language in the employee handbook did not take into account that the market offered certifications for more than just insurance agents. Because of that “loophole”, I was able to fight for the right to take the Cheetah PMP course and exam – at the company’s expense. Immediately after I became certified, the human resources department amended the handbook and included the stipulation that reimbursement for certifications and licensure was limited to the insurance industry and specifically excluded project management. After earning my PMP, I was able to secure a Vendor Relations Manager position that increased my salary to $105,000 per year. My salary ranged from $30,000 to $42,000 per year. After earning my PMP, I was able to secure a Vendor Relations Manager position that increased my salary to $105,000 per year. Due to the economy, my salary has dropped to as low as $63,500. After transitioning from the automotive industry to the healthcare industry, my salary is once again, a six-figure income. Maintaining my PMP and continuing to learn various project management and SDLC methodologies established by various companies has been extremely valuable to me. The foundation that PMBOK offers, equips a flexible project manager to adapt to the various methodologies and processes across industries. The only downside that most people find in this industry is that most positions are contract and do not offer the stability that is assumed with a permanent position. Having had the opportunity to fill this role as a contractor and as a permanent employee has been quite an experience for me. The stability that I thought I had with the permanent position was non-existent when the company decided to downsize its workforce by 24,600 employees (most of which were Project Managers). I was able to quickly adjust to the role of contractor again because of my previous experience. 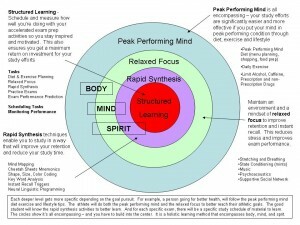 The one piece of advice that I would offer to anyone interested in obtaining their PMP is very simple. Go for it. If you don’t go after what you want, you won’t get it. It certainly won’t be easy, if it were, everyone would have those 3 important letters behind their name. If you feel that you know how to effectively manage projects, you owe it to yourself to command the respect and the income that comes along with mastering that skill set. As a certified Project Manager, the security of the position depends largely on the approved funding of the project and the skills and abilities brought to the project by the Project Manager. The longest amount of time off between assignments for me has been three months. The toughest time for me was when the automotive economy hit its lowest point in Michigan. With the headquarters for each of the three major automotive manufacturers located in Michigan, the need for project managers is very great when funds are available for development and enhancement work to information systems. Conversely, when the economy is suffering, typically, information technology is the first budget item that is cut. As a result of my experience in various industries, I am now able to quickly reject any inquiries from recruiters that are not able to support the salary expectations that come with the level of experience that I am able to bring to a company. There are many positions that I do not qualify for simply because I do not possess a college degree. But many times, the door remains open because of my PMP and my background. Having my PMP is invaluable. A few years ago, my husband planted several apple, pear and peach trees on a sloped, sunny spot alongside our garden in the backyard. We’d dream of the day when we could pick our own fresh fruit right from the tree – for free! The first year, we got nothing, nada, zilch – Did we do something wrong? Were these dud trees or something? Perhaps they were too young to bear fruit? The next year, the trees grew larger and we started to get tiny little red pears on one of them. They were so cute! A few days later, due to the dry weather, the tree snapped in half and all the little pears fell and never made it to ripeness. The following year, a herd of deer (or something!) had a field day and devoured pretty much all of our fruit and most of our garden for that matter while we were on vacation – tomatoes and everything – GONE! So this year, we were not even going to get our hopes up – we pretty much gave up and were content with looking at our pretty, bare trees, feeding the wildlife, without tasting the fruit ourselves. Until one summer day in early August, there they were! Beautiful, yellow, red and orange colored (albeit smaller than store bought) PEACHES!!! Finally!!! We picked a dozen or so and they were DEE-VINE! I’ve only picked and eaten apples and pears from PYO picking orchards before – the taste and juiciness of our peaches were amazing! The natural fruit enzymes of the peaches popped in my mouth they were so fresh and alive. We decided to make a peach cobbler, found a recipe online and tweaked some ingredients to make it a little healthier. Our first, fresh Peach Cobbler was, to quote Rachael Ray, DEE-LISH! Our fruit tree experience reminded me of the benefits of eating seasonally, locally and from your back yard (if possible). The taste, cost, nutritional value and personal satisfaction of that peach cobbler couldn’t be bought anywhere! It took some patience, yes (a few years! ), but it was so worth it! Oh, and before I share the Peach Cobbler recipe, let me share a little bit more of our peach story. We decided to let the other 30 or so peaches that remained on the trees ripen and grow a little larger, so we left them alone for a few days. Can you take a guess at what happened? We came home from a weekend away and found that we were robbed again!! The herd of deer (or whatever “it” was/”they” were), sauntered in the backyard and ate them all – not one peach was left for us to enjoy! (On the bright side, at least they left the tomatoes this time.) The lesson learned was that you have to strike while the iron’s hot and harvest as soon as nature’s bounty is ready — or someone (or something) else will! In a large mixing bowl, combine peaches, 1/4 cup of the flour, 2 tablespoons of the sugar, almond extract and lemon zest and juice. Pile mixture into a 10-inch baking dish or pie plate, then dot with 2 tablespoons of the butter; set aside. In another bowl, combine remaining 1 1/2 cups flour, 2 tablespoons of the remaining sugar, baking powder and salt. Using a pastry cutter, two knives or your fingers, work butter into flour mixture until it resembles coarse meal. Add half-and-half and lightly toss together until a soft dough forms. Drop dough by the tablespoon onto peaches until surface is almost covered. Lightly pat down dough to evenly distribute over the top, but leave spaces for the peaches to show through. Sprinkle with remaining 2 tablespoons sugar and bake for about 40 to 45 minutes, or until top is golden and peaches are bubbling. About the Author: Evelyn DeDominicis is a certified Holistic Health Coach and Workplace Wellness Consultant whose intention is to guide individuals and organizations on their journey to living in optimal, sustainable health and life balance. She offers 1:1 coaching, group coaching, cooking classes and wellness consulting to individuals and organizations. Evelyn recently joined the Cheetah family to launch Cheetah Wellness – a unique wellness education and behavior change approach using Cheetah’s Accelerated Learning and Project Management techniques. You can learn more about Evelyn at www.evelynwellness.com and more about Cheetah at www.cheetahlearning.com. Click here to see a salary survey for PMPs. Cooking school boot camp ended yesterday. And I’m still in Italy. I head home on Sunday. I figured it might be nice to have some unscheduled time after the culinary immersion to just hang out in Italy. I didn’t leave the room until 1. Went to a little Tratorria a block from the hotel. 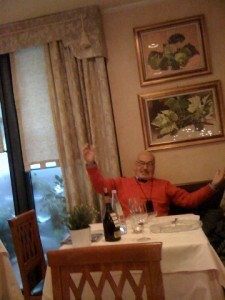 And had a lovely 84 year old gent sing us an Italian love song. Boy do I like a country where I am treated like one of the treasures from God instead of in the US where I’m treated as if I have some type of self-discipline disorder for not being a perfect size 8. In Ominvore’s Dilemma, Michael Polen says the US has a nationwide eating disorder. After being here – where these folks eat and eat and eat – all natural, locally raised foods, prepared with no additives, I completely agree with Mr. Polen. We aren’t getting fatter and fatter in the US because we don’t have any self-discipline. We are getting fatter and fatter because we are purchasing crap products with too many preservatives and additives that help the food manufacturers increase the shelf life and shelf stability of their products, but that are literally killing us. Spending five hours a day in the company of great people, enjoying great food and great conversation is the way to live – not running from one meeting to another gulping down whatever food you can quickly get. The US doesn’t just have a national eating disorder, they have a national living disorder. Cantina in La Buca - a very authentic Italian Ristorante in Zibello. What is odd is in the US I am pretty much invisible – a standard middle age, rotund short woman of average looks. It’s very strange – I am very well known in my field. Pictures of me appear in all our publications. Many people claim they know me. Yet when they see me in person at meetings, they ignore me – like I don’t exist – until I go up and introduce myself. Then it’s as if – oh my god, this PM “big wig” is standing here in front of me. When five minutes earlier, they just blew me off. Yes we have a problem in the US of what we think “successful” people should look like. But because of way I look, people actually treat me nicer here. I am reading the book Heat by Bill Buford. In his book, he mentions a restaurant in a town just south of here called Zibello and a restaurant there called La Buca. We had our tour guide Melanie make us a reservation there for tonight. We were warned the woman who runs the place Mariane was a force of nature sometimes prone to storms, but the food was GREAT. Diesel or Gas - Google on the Iphone Saves the Day. 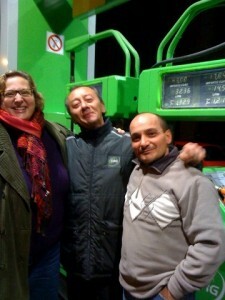 New found friends Fabio and Stefano. were welcomed with open arms. Mariane, just loved us. 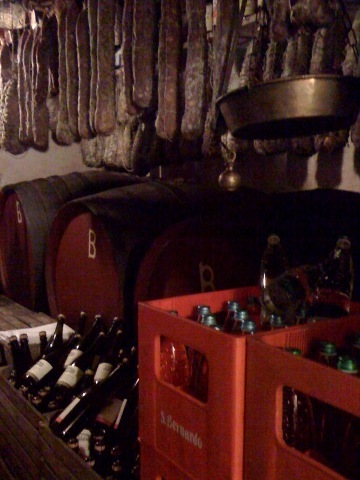 She showed us her “cantina” – with all her salami’s, cheeses, proscuitto’s, and wine barrels. She had her son-in-law wait on us since he spoke very good English. We were treated like royalty. Maybe she doesn’t like the skinny US reporters who visit her? She was very nice to us. The big adventure with going to La Buca was just getting there. We had not ventured out in the car since we got here. And getting here was a very disorienting experience. We left for La Buca right as it was getting dark, and it was raining. We made it there without getting lost – and had an hour to drive around. So for another adventure we decided to gas up the car. At the station, we couldn’t figure out if the car took diesel or regular. After much discussion with the gas station attendant Fabio and his friend Stefano, I decided to google the make and model of the car on my Iphone – both guys looked at each other and said Google – SI, Google and were nodding their heads up and down. Very funny – yes the answer was on google – it took diesel. One last day in Italy before we head back to the States. I think I might find some type of cooking school in residence back here where I can come live for a couple of months. Who would not want to be where you are just totally loved for who you are – instead of being dismissed by the general population since you don’t live up to some ideal of what others think you should be? I love the Italians. I have said this time and time again, we all soar and sink together. To help unemployed PMPs create new opportunities, we created a 40 hour PDU course that we offer free for unemployed PMPs. If you are an unemployed (or underemployed) PMP who needs to maintain your credential and wants to discover how to create more opportunities, send an email to pam.gieras@cheetahlearning.com. We ask that if you want to participate in this, that you refer people to Cheetah Learning for Project Management training when you run into someone who could use our courses. 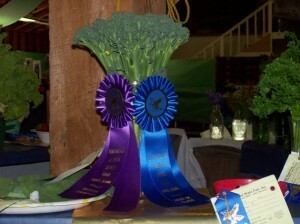 Alaskan Square Foot Garden Produces Prize Winning Broccoli!!!! Best in Division, Best in Class, First Place - does it get any better than this???? Okay I must admit, broccoli is not my favorite vegetable, but my gosh does it grow well in my alaskan square foot garden. My daughter encouraged me to enter one of the heads into the Southeast Alaska State Fair. So, the morning of the competition, I took knife to plant, and beheaded it. Yes, whacked it there on the spot. Then with lovely broccoli bouquet in hand, went to the exhibit hall at the state fair grounds and entered it into the competition. They even supplied the lovely vase. I’m not sure what division it was in or why it won best in division – but here it is in all it’s glory. The first of the bounty from my first alaskan square foot garden. Was it the automatic watering system, the extensive wind protection, the uncharacteristically warm summer, the thousands of worms from Uncle Jim’s worm farm, the seaweed I mixed in with the vermeculite, composite, manure planting mix? It certainly wasn’t my attention as I was not even here all summer. I am more inclined to think it might be the lack of other competitors. No one else entered broccoli. I’m not sure if this town has many broccoli fans as the main reason I grew broccoli was because it was one of the few starts left at the nursery. Late to the party and what happens – I WIN!!!!!!! YEAH. I am so proud of my head of broccoli. I might even start to like this vegetable. Posted in Cheetah Students, PM for the "20-Something" Crowd, Project Menu, recipes, Tips for Project Management, Uncategorized | Comments Off on Alaskan Square Foot Garden Produces Prize Winning Broccoli!!!! My friends, family, and I have been working on building a garden in Alaska the past several weeks. Last year my friend Mandy told me about the square foot gardening concept so I purchased the Square Foot Gardening book. I designed my first one in Nevada last year and wanted to try my hand at gardening in Alaska (you need a very large fence that includes an electric fence to keep the moose out.) Several people wanted my plans for what I was doing so those are attached. My Cheetah Learning team wanted me to create a special promotion for people who wanted to earn Project Management professional development credits by creating their own garden. 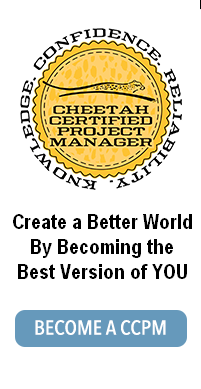 We have a 60 hour (and 60 PDU) online course called Cheetah Action Project (CHAP). Check out all the great projects people have done with this class. You can get a $50 discount on this course by using the promotion code “silverbells.” Click here for more information. 3. 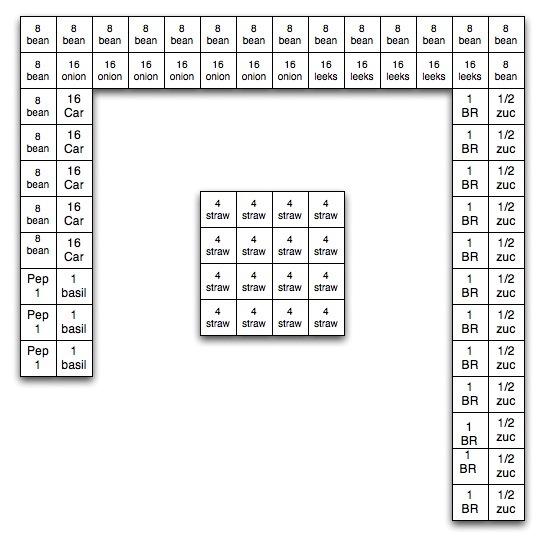 Planting Calendar Square Foot Garden. planting-calendar-2009. I just picked out the seed packets for the vegetables I wanted to grow. Put the date I wanted to harvest them, and then the amount of days it would take for them to get to maturity. And subtracted that to find the date I needed to plant the seeds. My main constraint is that I have to be away for June and July for business. 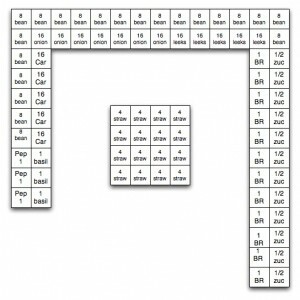 Planting Layout based on starts available and what will easily grow in my area. 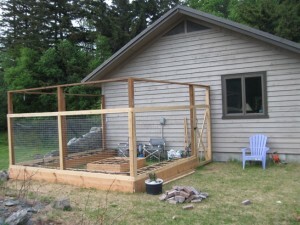 Next year, I get my vegetables started inside earlier. 1. We didn’t know that the garden would be so hammered from north winds so we had my cousin Bill, the mason, who was visiting from Rhode Island, build a 4 foot rock wall on the north side to protect from the wind. A large stand of evergreens about 40 feet from the south side of the garden protects it from the south winds. 2. 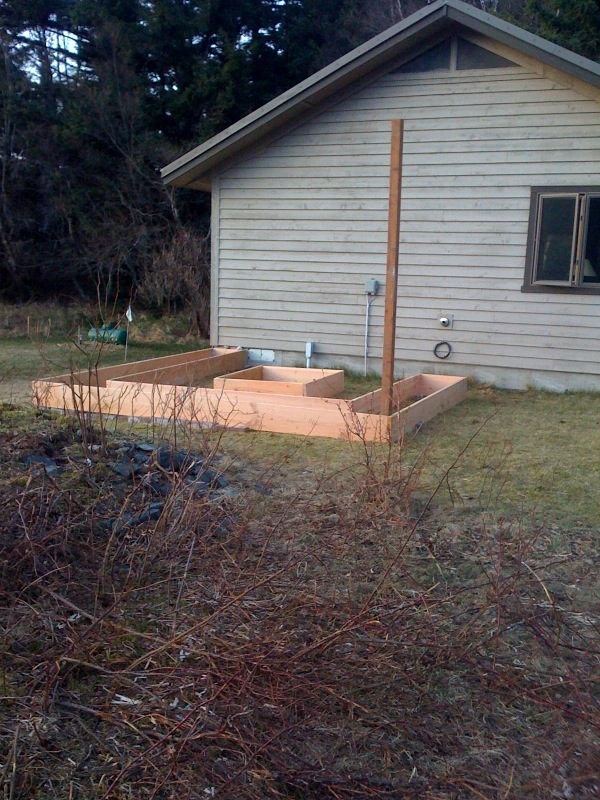 We had expanded the garden width by two feet – because we had extra 14 foot 2 x 12’s. 3. When I shared my planting calendar with my neighbor who has been gardening in Alaska for 25 years, she told me a great book to get on gardening in Southeast Alaska and said that I would need to start with plant starts if I expected any produce by August. So I purchased the starts that I could, got extra starts from some neighbors who planted more than they could use and revised my planting layout and tossed the calendar – all the plants are going in at the same time this weekend. 4. For the most part the garden has come out like I expected and I’m very happy with the outcome of this project. Plants in, protected with 2000 worms to keep them all company. I am considering using cooking to help people develop project management as a habit. I’ve often wondered if you become a good cook because you’re good at project management or if you become a good project manager because you’re good at cooking? 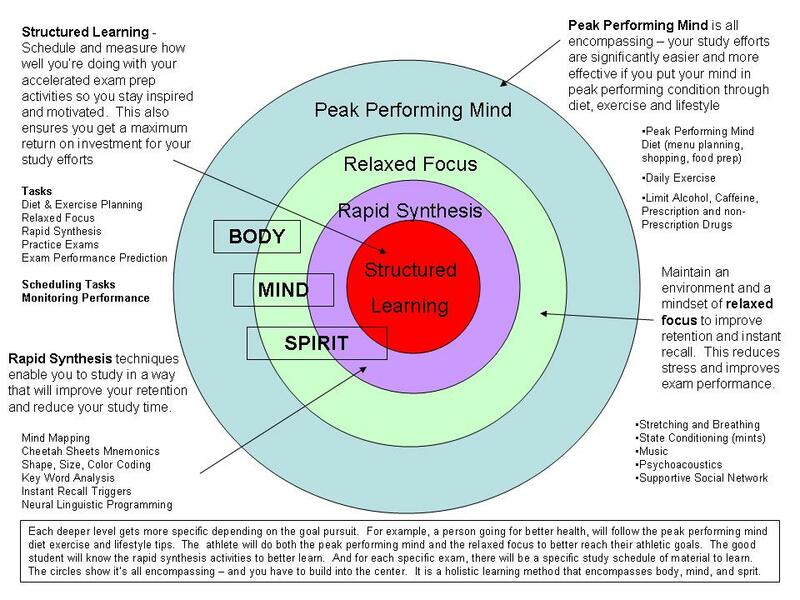 There are five phases to every project – initiation, planning, execution, control and closeout. Every meal or dish you create is itself a project – you get an idea for what you want to make (you initiate it), you have to figure out the ingredients and equipment, go procure anything you need to prepare the meal, and figure out when and where you’re going to make it (this is planning), then you have to prepare the meal (this is project execution), then you have to make sure it tastes like you wanted it to (project control), then you assess how you can make it better the next time (project close out). I have found time and time again, that the more successful people are with the smaller projects of their life, the more likely they will be successful with the larger projects of life. So it just makes sense to teach people how to be more successful with the smaller projects of their life – like cooking. For the first attempt to teach project management with cooking, I am going to revisit a concept I posted several days ago on flu remedies, my recipe for Chicken Noodle Soup. Project Initiation is the first phase of the Chicken Noodle Soup Project. We have all heard that when we are ill, a bowl of chicken noodle soup is a comforting remedy. Chicken noodle soup has a long history of relieving symptoms associated with various illnesses. During the 12th century, healers began recommending ‘the broth of fowl’ to their patients. Also around this time, Rabbi Mosche ben Maimonides, an Egyptian Jewish physician and philosopher, wrote about the many benefits of chicken noodle soup. He used chicken soup to treat a variety of illnesses including respiratory problems like the common cold. Present day researchers have set out to determine whether or not chicken noodle soup actually does have medicinal uses. One pulmonary specialist, Irwin Ziment, M.D., who is also a professor at the UCLA School for Medicine, found that chicken soup contains contains an amino acid that is similar to a drug called acetylcysteine that is prescribed for respiratory illnesses such as bronchitis. This amino acid is released from the chicken when it is cooked and heated. Another pulmonary specialist who has spent time studying the benefits of chicken noodle soup is Stephen Rennard, M.D. He is the chief of pulmonary medicine at the University of Nebraska Medical Center in Omaha. Rennard found that chicken soup has anti-inflammatory properties. Colds and respiratory illnesses are many times caused by inflammation from neutrophils (inflammatory white blood cells) that travel to the bronchial tubes. Rennard used a chicken noodle soup recipe from his wife’s grandmother to show that neutrophils were less likely to accumulate when chicken soup was added. Chicken noodle soup is also a useful cold remedy because it contains bacteria and virus fighting ingredients including garlic and onions. Garlic is a natural antibiotic for which the body does not develop resistance. Onions contain an anti-oxidant called quercetin that also acts as an anti-inflammatory. Even though chicken noodle soup is not a cure for a common cold, it has been proven to alleviate many symptoms that come along with a cold. It keeps you hydrated, can clear your nasal passageways, and acts as an anti-inflammatory. After I had my curiousity sufficiently satisfied that Chicken Noodle Soup was a good thing to make and a good recipe to share with others, I got about planning how I would make it. 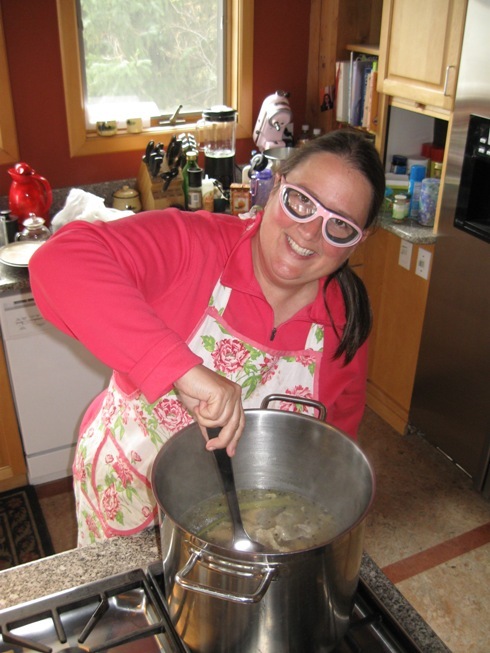 Project Planning – to make the chicken noodle soup I had to do a number of preparations – like I would for any other project. 1. Roast the chicken – clean and dry one whole chicken, sprinkle it with pepper and place it in the roasting dish. Put roasting dish in the pre-heated 450 degree F oven. Cook at that temperature for 15 minutes then turn temp down to 350 degrees F. This sears the skin keeping the interior meat moist. The chicken is done when you can easily pull the drumstick off the chicken. 2. Remove most of the meat off the chicken carcass. Either serve the meat for dinner, or cover and put into the refrigerator – you will use it later for the soup. Toss the chicken carcass and the roasted skin into the 4 quart stock pot. Fill enough water to cover the chicken carcass. 3. Put the whole peppercorns, the salt and three whole stalks of celery into the stock pot with the chicken carcass. Cover and put on low heat overnight or for at least 5 hours. 4. In the morning or after 5 hours or so, strain the chicken broth, Keep the liquid and discard the bones, peppercorns and celery stalks. 5. Put in the refrigerator until you return home from work or after 5 or 6 hours. The chilling allows the fat to rise to the surface where it’s easier to skim off to make a lighter soup. 6. Chop the celery and onion into small 1/4 inch pieces. Saute in 2 tbs butter until the onions are translucent. 7. Put in the chicken broth. Crush the cloves of garlic and add them in the chicken broth. 8. Bring the chicken broth to a boil and add the noodles. Cook until the noodles are done. 9. Dice up the remaining chicken to 1/2 inch bite size pieces. (this is the chicken you pulled off the chicken before making the broth that you refrigerated). Put at least 1 cup of it into the soup. Salt to Taste – everyone’s taste for salt varies so it’s better to let people spice up their soup on their own. Tabasco sauce in the soup is also good. A big part of cooking (and project management) is quality control. It starts with getting high quality ingredients, having the caliber of tools that help you create better results and using techniques that provide a higher quality outcome. The more you do both project management and cooking, the higher quality output you create. And when you combine the two, in the spirit of creating a high quality product, you get better at both. At the end of a meal, I review how I did and if I should do anything different the next time. One time, I put yams in my chicken noodle soup – they were an over powering presence. I have found the same with carrots. This is why I just stick with onions, celery, garlic and noodles. For this go round with my chicken noodle soup – I was just showing my intern how to make it and we were testing out the idea of creating a video around this as well. I learned, that usually I make chicken noodle soup more as just part of making a roasted chicken dinner and doing it as a demonstration project – I ended up with a LOT of left over chicken. I am going to use it to make chicken salad for lunch tomorrow. The soup came out GREAT – we served it with whole wheat saltines. 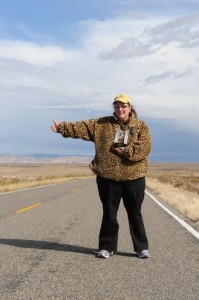 Here I am working my way home from the PMI meeting in Denver. Winning the PMI Provider of the Year all started with Eggs in a Bowl. Throughout the course we serve our students foods that are high protein with complex carbohydrates. This helps regulate blood sugar levels that in turn keeps their brain chemistry operating in a low beta state – one that is optimal for staying relaxed and focused which dramatically aids in retention and instant recall. Here is a recipe that for “eggs in a bowl” that is a fantastic exam day breakfast. The team at Cheetah Learning uses the exam prep diet practices with their own families when they have big exams. Two eggs (best if you use organic with chickens who were fed a diet that boosts the omega 3 of the eggs). 2 tbs of shredded cheese. Mix it all together in the bowl and pop in the microwave for two minutes. Stir, and let sit for a minute. If it still looks a bit runny – pop back in the microwave for 30 seconds.